I hope everyone had a relaxing and a warm Easter c: I sure had one! More pictures of that coming soon. 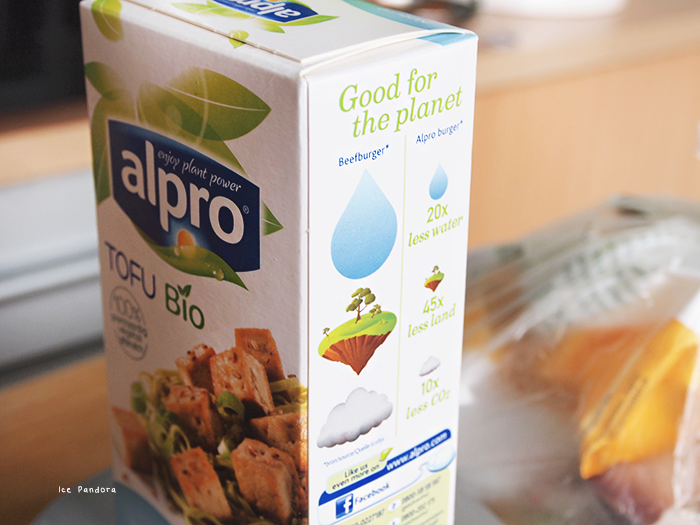 Tofu is one of the least favourite food in the world (because it’s so bland) and I think that needs to change. 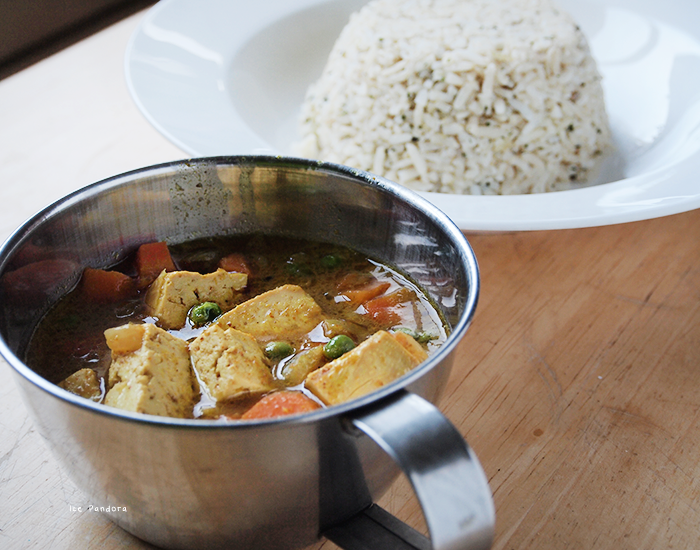 Tofu is so delicious! Its really the way you add flavour to it. Hopelijk heeft iedereen een fijne Pasen achter de rug gehad! Ik ga morgen even kijken naar de afgeprijsde chocolade hazen haha. 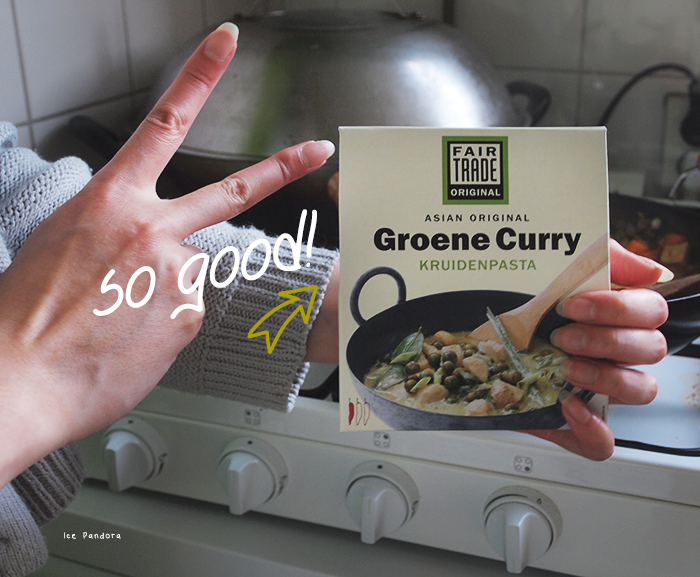 Maar goed, vandaag alweer een food post met alweer curry! Laatst had ik een red curry rijst gemaakt nog hier. Ik hou ontzettend van curry. 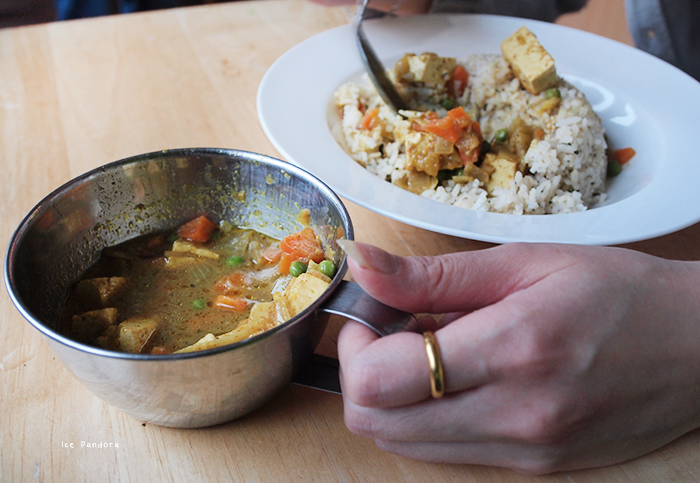 En alles wat met groentes te maken heeft want deze curry bevat tofu, boontjes en wortels. En natuurlijk kruiden! 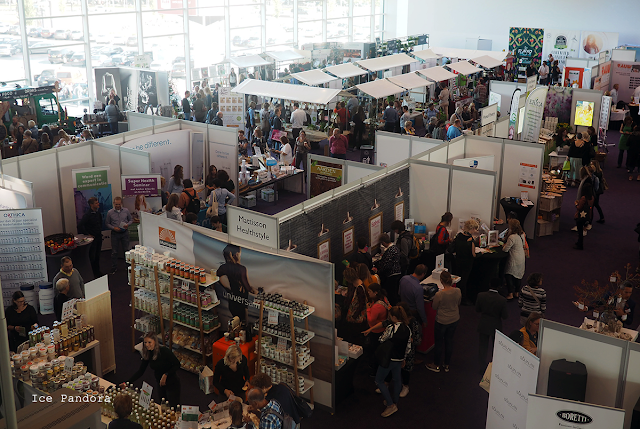 Niet iedereen houdt van tofu (want hij is zó smaakloos) en dat vind ik zo onterecht jammer want tofu is zo lekker en gezond! Het is echt hoe je het maakt en hoe je het op smaakt brengt. 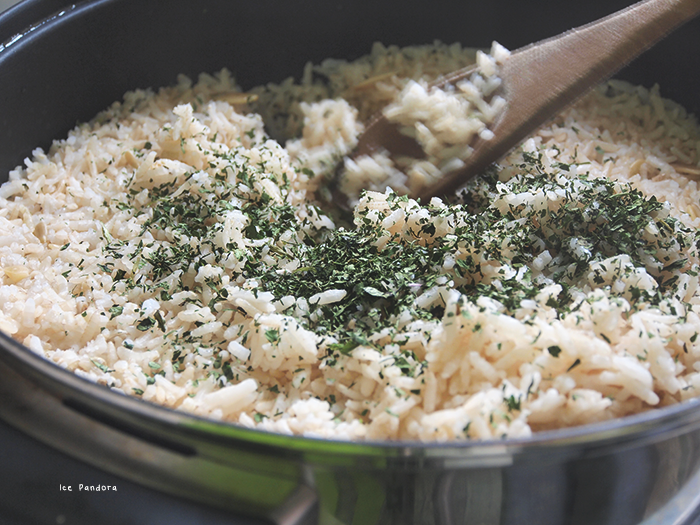 Prepare rice: wash the rice and add it into a pan or rice cooker + the 800ml water and coconut milk. Cook on high heat, once its boiling lower it down (with lid on!). Once cooked add the coriander and combine well. Curry: add oil in a frying pan/wok and saute the diced onion and garlic. 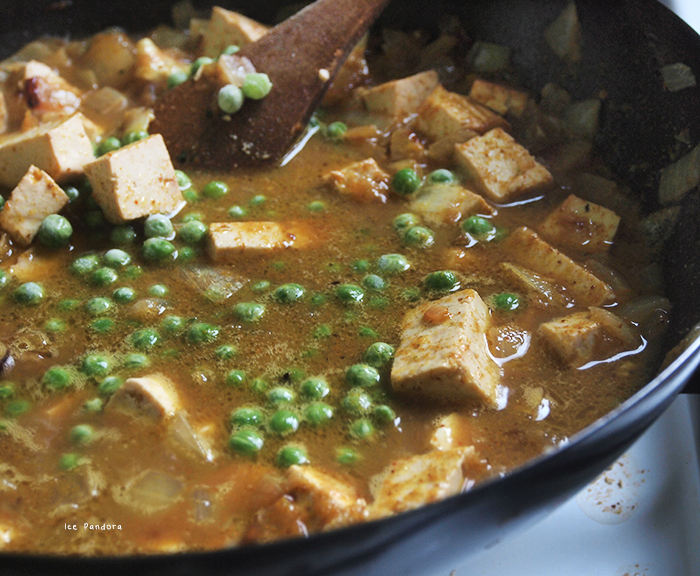 Add the peas and stir fry for 3 min with the onion and garlic on medium heat. Add the curry paste + water. High heat! Once boiling lower to medium heat. Add in tofu! And let it boil for 5 min. Add in salt, pepper. 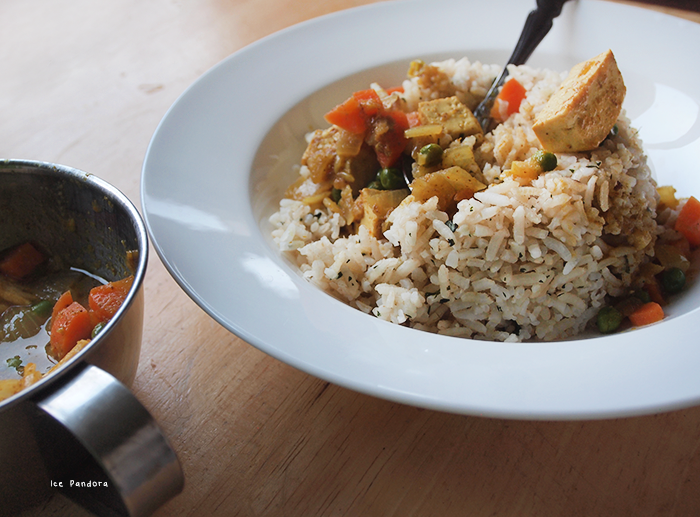 One of my favorite foods is curry (esp. Japanese curry) and rice!! Ahh, these wonderful and delicious photos are making me crave it now!! This looks delicious. 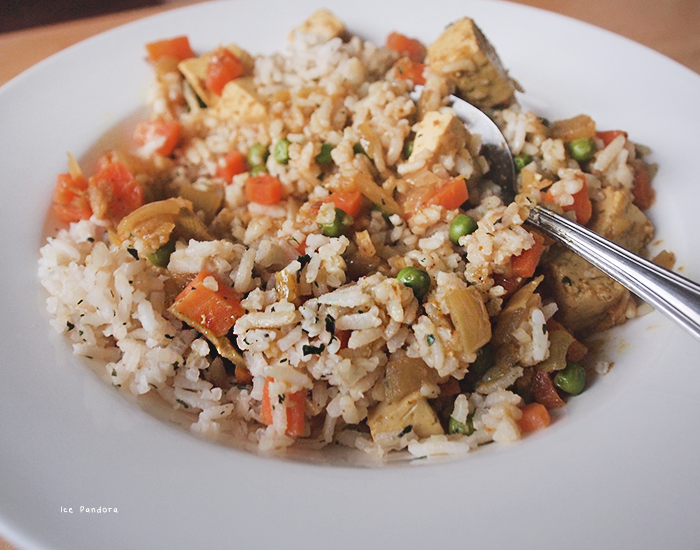 I really need to try tofu again, it would be a great alternative to meat. I'm getting tired of meat, poultry and fish. i used to hate tofu too. ugh. but now i'm like it more. 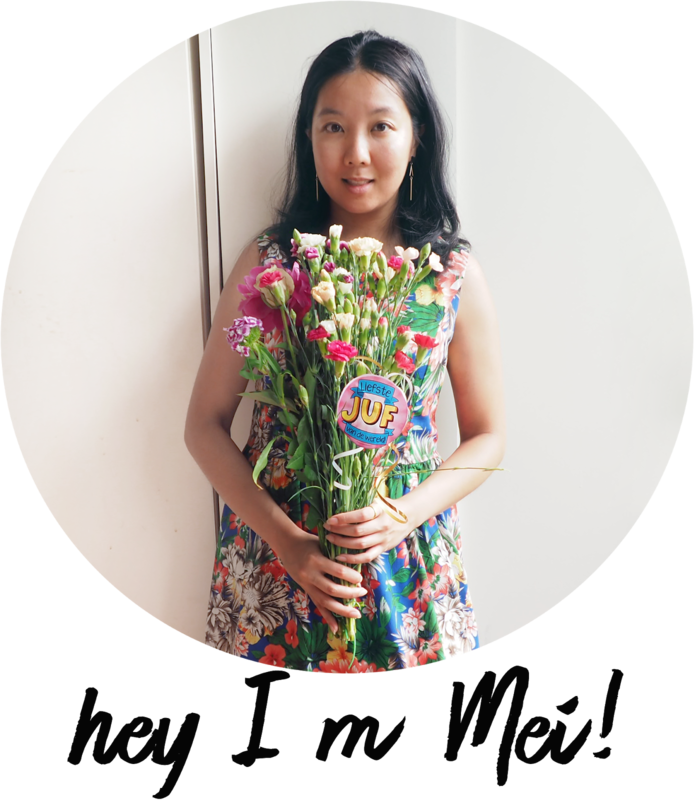 i usually fry it up and dip it in sauce (soy sauce with a little bit of sesame oil, vinegar and hot pepper flakes and sesame seeds). and i'm always down for curry! so delicious!